Pag-IBIG Housing Loan are available to all Pag-IBIG members like factory workers, government employees, businessman, self-employed and others as long they meet the necessary requirements of the agencies and the qualifications at the house that applying for? Pag-IBIG offers different loan terms depending on the capability of the member such as 30 years to pay, 25 years and so on… Meanwhile, the lowest house mortgage offers to a member are the raw house, unit like this is the cheapest amortization and the most-friendly in budget wise for middle and lower class family. But sometimes members are also experiencing the trouble of paying their monthly amortization that could lead to the revocation of their unit or worst the unit will be foreclosed if the members doesn’t settle their delinquent payments for various consecutive times, though Pag-IBIG warns or give the homeowner some enough time to settle their delinquent balance, but failure to comply might lead to revocation of their unit and their houses will be included to the list of “Pag-IBIG Fund Acquired Assets”. Under the “Pag-IBIG Fund Acquired Assets”, the houses included in the list are subject for sale, which means another Pag-IBIG members are allowed to buy or apply for amortization, but applicants must see to it that the unit or house they applying for is totally available or if have time, check it first personally if no one’s occupying the unit before proceeding for the application to avoid future problems. 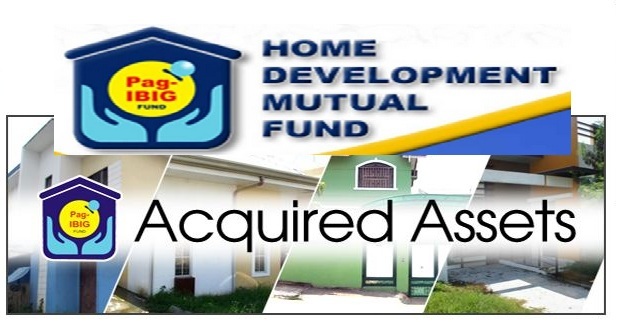 To see the list of the latest foreclosed property and acquired assets, click this link Pag-IBIG Acquired asset’s. 86 comments to ''How to Find a House at Pag-IBIG Fund Acquired Assets"
Good morning sir/ma'am. I'm currently working in a private company. I'm going to apply for Pag-IBIG Housing Loan this year. Next year, I'm seeing possibility to work in a government agency. Will there be any conflict with the loan in the future? Thanks. Looking for rent to own house and lot at baras baras tarlac kung meron?? Looking for rent to own house and lot in cainta rizal near junction po sana. looking for house and lot rent to own @baclaran mabuhay laguna.meron p bo bang open. Looking for rent to own house at cauayan city,isabela? Meron po bang sa caloocan ung foreclose na po.. I'm looking for acquired asset in ciudad adelina conchu trece martires city. Sana kung may mas affordable na house loan po...or rent to own.10 years napo akong member ng pag ibig. Almost 13 years napo akong nangungupahan. Thanks po. hello po, magtatanung sana po ako kung pwede ko na po bang ma retrieve or makuha yung share ko po? kasi po PWD na po ako baka po pwede na po para magamit ko po sa pagda dialysis ko po salamat po. Looking for rent to own house and lot in antipolo po sana. Gud afternoon po ask q po kung meron pong for close na bahay d2 sa grand acacia subd. Nais q po sanang makuha ito.. kung wala po sana mo mabigyan nyo aq ng for close n bhay here in cabuyao laguna.. gus2 q n po sanang mgkabahay tagal n po kz nmn nangungupahan d2 sa grand acacia subd. Banay banay cabuyao laguna kaya sana po makuha q ung bahay n for close d2 s subd. Nmn... thank you po.. Looking for house and lot po in valenzuela view,bignay,city of valenzuela. Hi! I would like to know if there is foreclose Pag-ibig housing around Lucena City or Sariyaya Quezon Province? Thanks. Hi po good morning, meron po kyo list ng open o for close dto sa Carissa 2 Teresa Rizal? ?thank you po,SNA meron po kyo,pra mkIta ko po at mtingnan ko ndin po,yung manga unit kung meron. Im thinking if i could apply for a house improvement loan through MPL? and how much would be the loan, I've been pagibig member since 1994. Could it be possible, payable in 3 to 5 yrs.? Ahh my mga foreclosed property b kau s part ng canlubang calamba laguna n low down payment or cash out?? ?ung mbaba lng dn ang price..
Good morning. Pwede paba mag avail ang block listed? Kumuha kase ako nung dalaga pa ko pero di ko na naitinuloy. Year 2000 pa yun. Ngayun may asawa na ko pwede pa kaya uli? Please advise. magandang araw po. tanong ko lang po, pwede ko bang i-apply sa pag ibig housing laon ang bahay na wala pang titulo? rights pa lang po ang meron.